This contest started on 1/22/19. This contest has a winner. * Win A $25 Waffle House Gift Card. The $25 Gift Card is good at any Waffle House location (wafflehouse.com for locations, menu, info). I love the hash browns that WH serves. I love the Fiesta omelette. Hmm, Cheesesteak omelette sounds good too. I’m 72 years old and Ive never eaten in a Waffle House. Happy Friday. Yeah, Tom needs to win…. 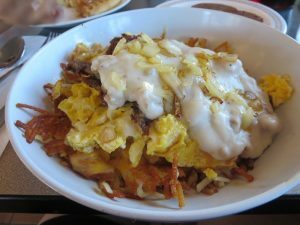 Waffle House is a late nite oasis for Awesome Food….Try the Texas Cheese Steak you wont regret it…..